You can almost hear the incredibly loud floppy drive. 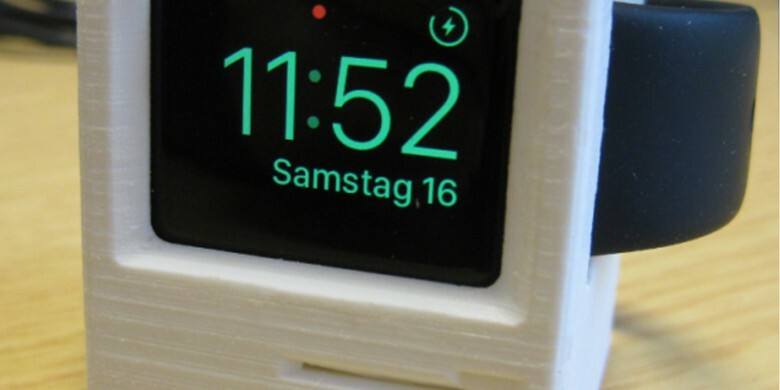 Styger adds that he printed the model bottom-to-top, but that was slow going because he had to build supports into the Apple Watch stand as he went. He suggests future versions will print the stand upside down and adds that he had to adjust the original templates slightly to accommodate a smaller 38-mm face. “I’m learning as I go,” he says. Some other creators are trying to turn their little replicas into a business. 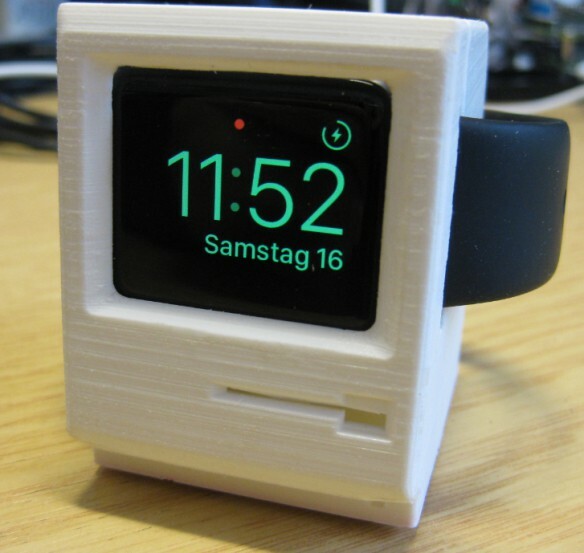 Etsy user RetroConnector (Charles Mangin) is selling his retro-styled Apple Watch stands for $50 each. The seller offers his wares in five colors (although who would choose anything but beige? ), and you can even pick between three devices for your miniature: the Macintosh 128K, the SE, and the SE/30. For even more insight, you can check out how Mangin’s tiny Macs are made in the video below.